"Behind the building of the college I attended, was a village called Kawangware. l noted that children of this village were involved in garbage collection instead of going to school because they could not afford to attend. That is where my mind settled to start a school in Kawangware and try to help where l could. Some parents came to me and asked me to also open a day care where they could leave their small children and go to work. This was another way I could help this community since many employers do not allow people to come to work with their children. So when I opened, many parents got jobs because l could take good care of their kids. The children were also glad because l feed them and teach them and for some of them, this is the only meal they get for the day. Although some times some parents fail to pay the little fee l charge, that does not stop me from doing what l love." Martin is a living example of how a hand-up empowers a person to give back to others through the Power of WE. 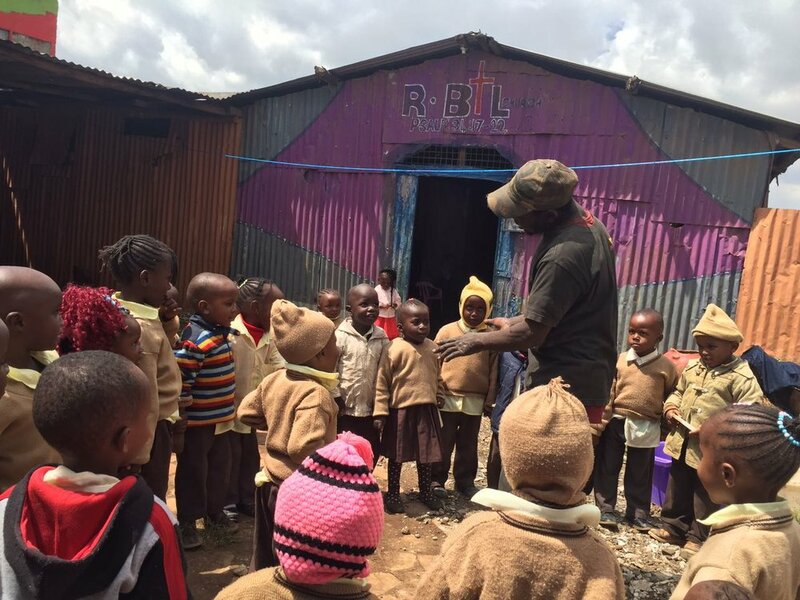 Empower Hope has partnered with Martin in reaching the most vulnerable in his community by supporting his efforts to give these precious children a hand up.